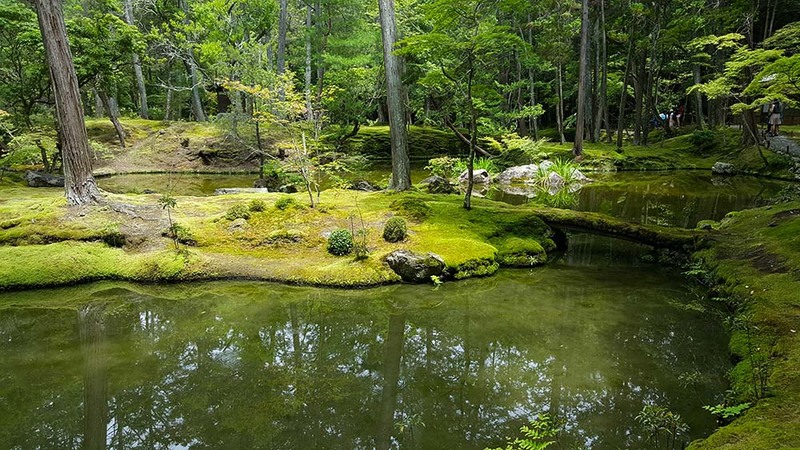 If an amusement park is designed to let “another world” emerge – a world of dream/fantasy in which you can submerge yourself for a couple of hours to forget about stressful real world – then Saiho-ji is an amusement park. You may say, “Wait a minute it’s a Zen temple. It’s got to be the opposite of ‘amusement’.” But it is, even though there are no roller coasters or cotton candies that pamper your desire. 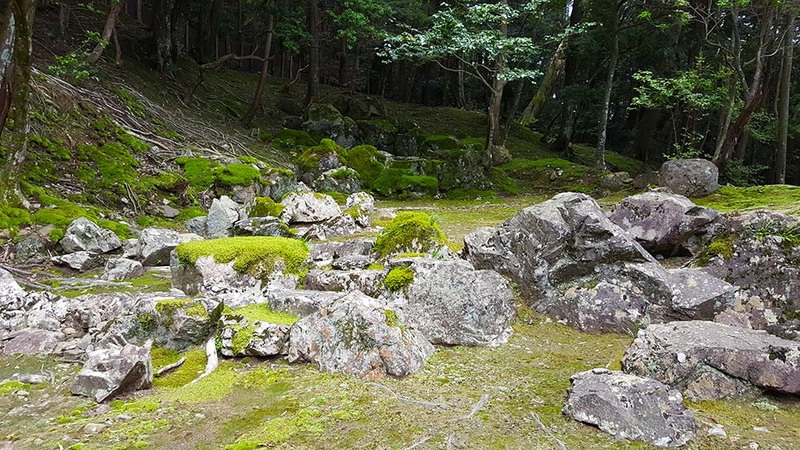 Saiho-ji reminds us that thousand years ago, our “another world” definitely existed in/beyond “nature.” Deep and immense nature. The unexplored and unknown domain somewhere distant, controlled and ruled by something beyond humans’ reach and comprehension. The land occupied by mysterious creatures with mysterious powers. Dark underground inhibited by dead people or monsters. Or, pure heaven for supreme existences, gods or buddha’s. 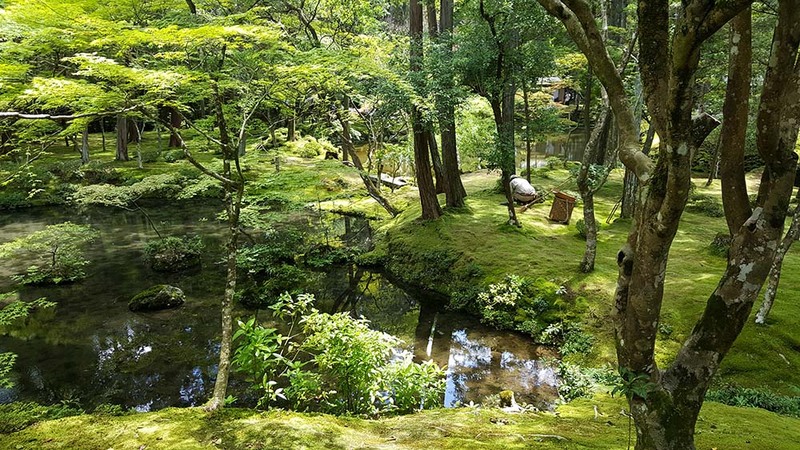 It almost feels like the entire Saiho-ji garden is such a gateway that connects us to another world. The ample green, from bottom to top, is mesmerizing. 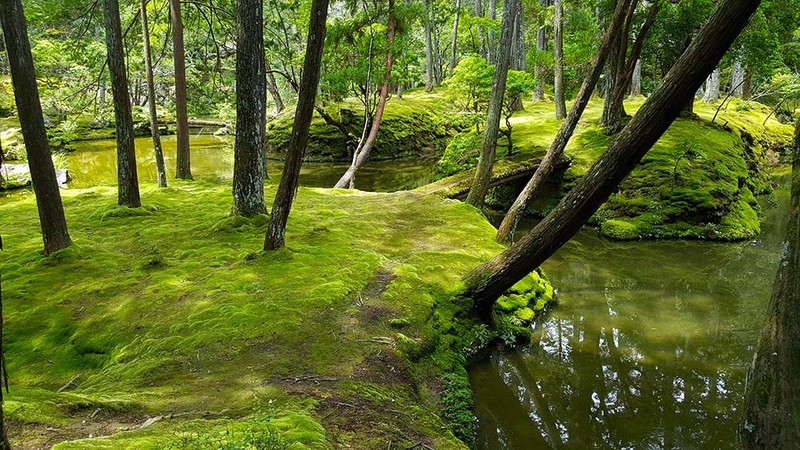 It is mind-boggling that the mere collection of plants (trees and moss), along with water and rocks, could constitute something this imminently sensual. 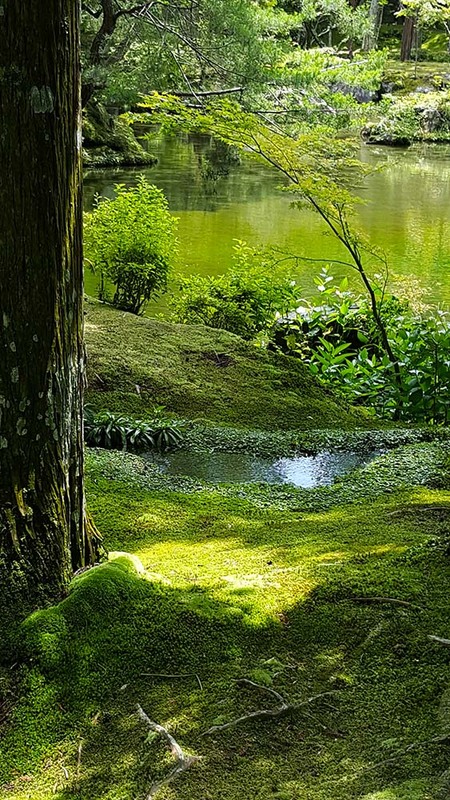 (Yes, this is fifty shades of green. 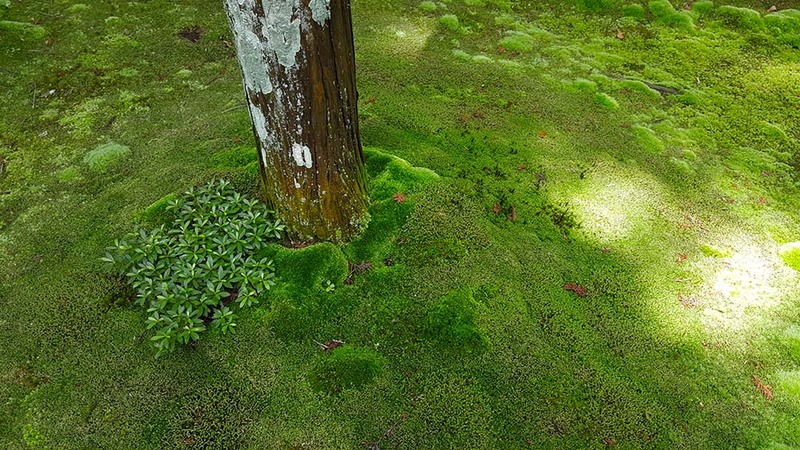 Well, actually there are 120 moss species at Saiho-ji, so it’s a lot more than 50.) The trees somehow crystallize their vigor, and condense to form something almost cosmic. This is the power of accumulated time – a thousand years – and also the power of design, which enabled such accumulation. 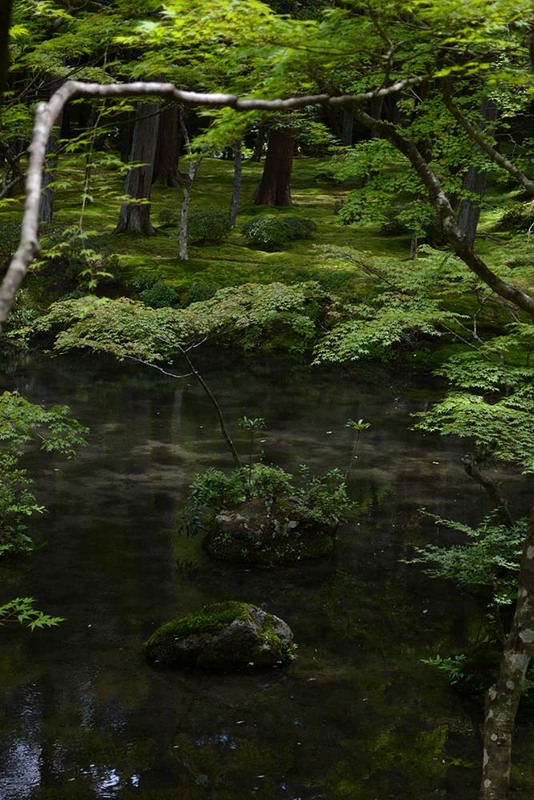 It’s Muso Soseki (1275 – 1351), a prominent Zen monk, who designed this garden. He was a highly respected mentor sought by both aristocrats and military elites. 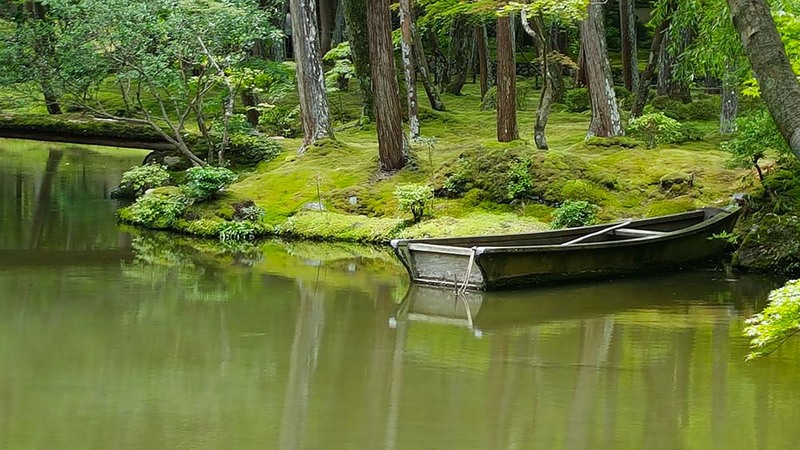 He traveled many parts of Japan to practice meditation in the middle of crude nature – in high mountains, by oceans or waterfalls. 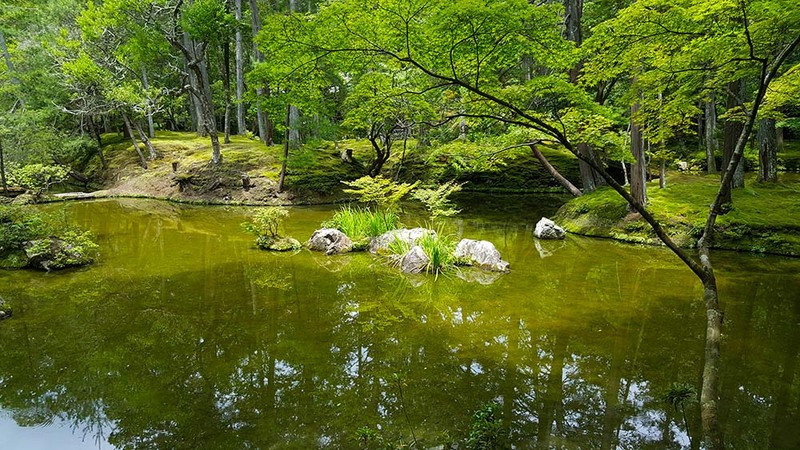 After founding/maintaining prestigious temples (many of which had Zen garden of his own design), he was invited to revitalize Saiho-ji when he was 64. 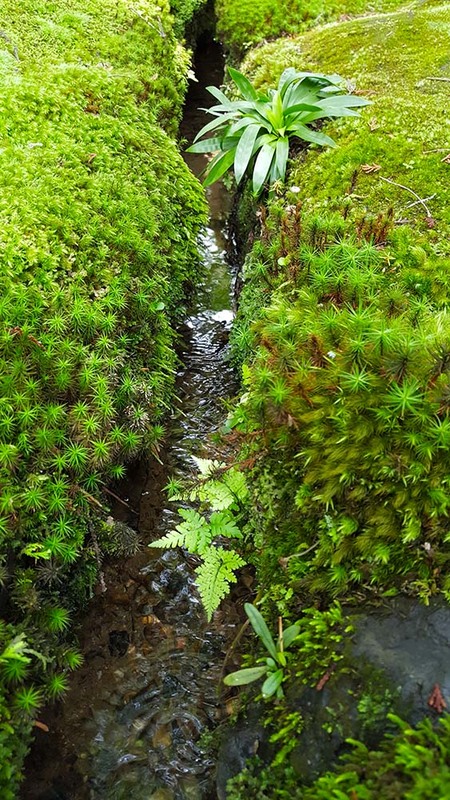 Saiho-ji garden is two-layered. 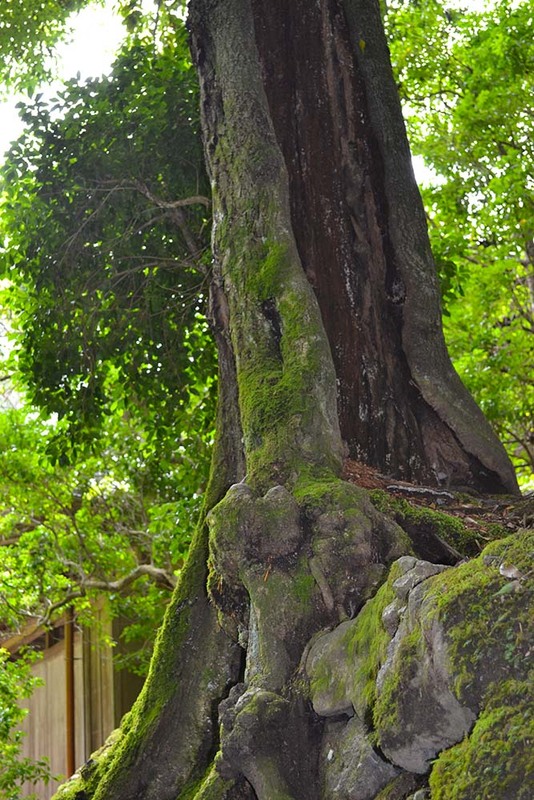 The ground level applies 池泉回遊式庭園 (chisen kaiyu-shiki teien). 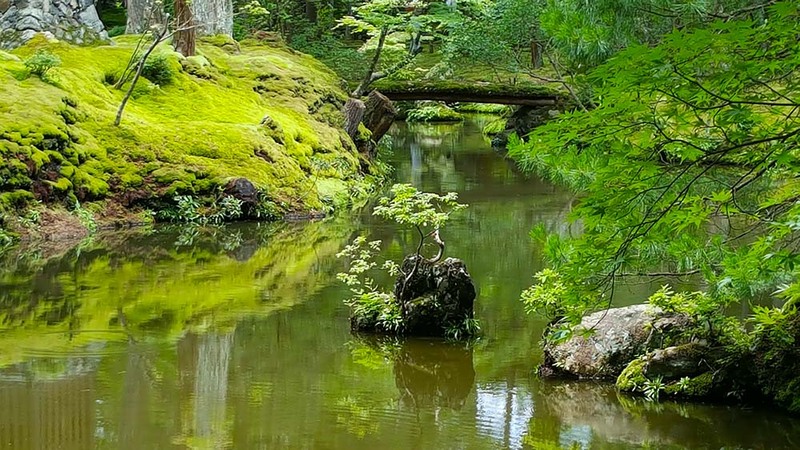 It is an old method that designs a garden surrounding artificial water body (usually a couple of ponds connected by small tributaries). Visitors enjoy strolling around, using winding lanes that connect facilities scattered around the water. 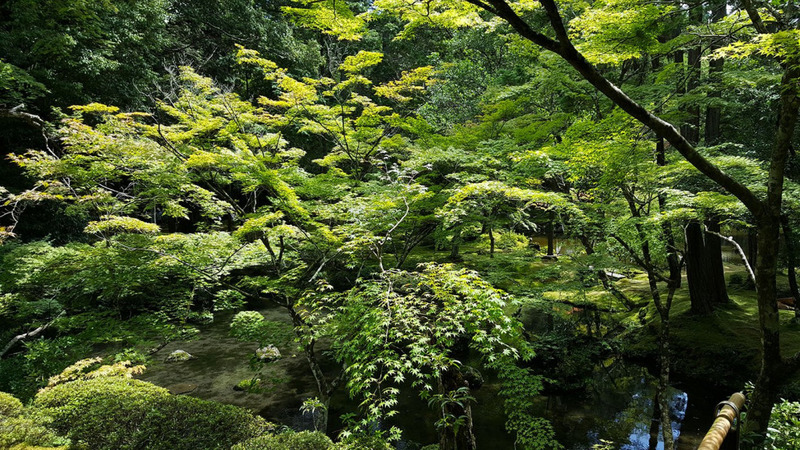 It originates from shinden-zukuri, residential architecture developed for aristocrats in Heian-era (8th-12th century). Back then, this type of garden was literally considered as a gateway to “jodo,” pure land of Buddhas to which you could ascend when you die. The upper level looks very different. Whereas the ground level is filled with almost excessive amount of green, the upper level shows more direct, crude face of nature. 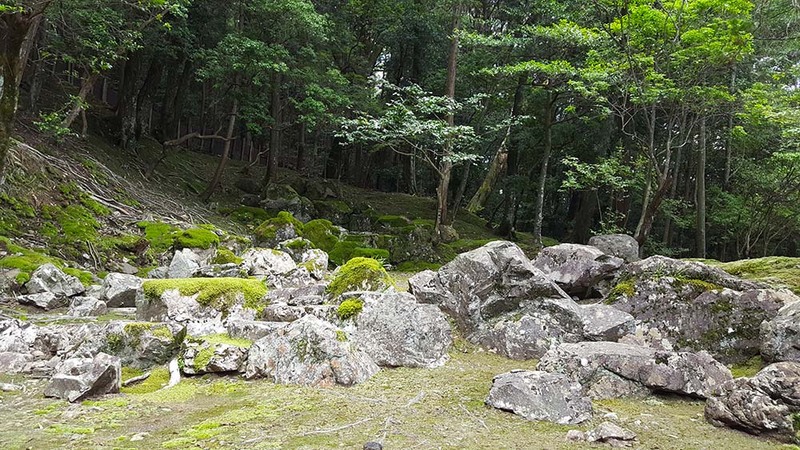 This is where you will find one of the oldest surviving 枯山水 (kare-sansui), or Zen rock garden. Muso Soseki is known as the father of kare-sansui. The history of kare-sanusi started here. We will update this article very soon! Sign up for our newsletter to receive updates.